I'm Feylias, and it's been a while since I've had a page here. 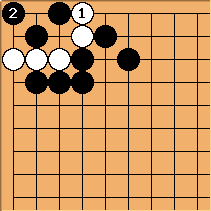 I'm getting weaker at go and when I play, it's as "Mallowpeep" on KGS. So this was what the program wanted. What am I missing? White looks dead to me and her move looks pointless. This doesn't even create a ko fight. Unless I was using this as a (suboptimal) ko threat I'd tenuki. You are correct, white dies like this. 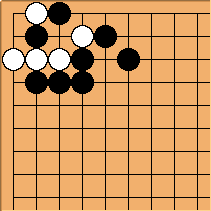 White should play the 1-2 point for ko.